Is the lack of curatorial attention starting to hurt the Stingel market: With only one solo show in the last two years, the amount of curatorial attention seem to have dropped significantly from 2016, which saw ten solo shows and nine group shows. The drop in institutional activity seem to make the market nervous as other peer artists are fighting for buyers’ attention. 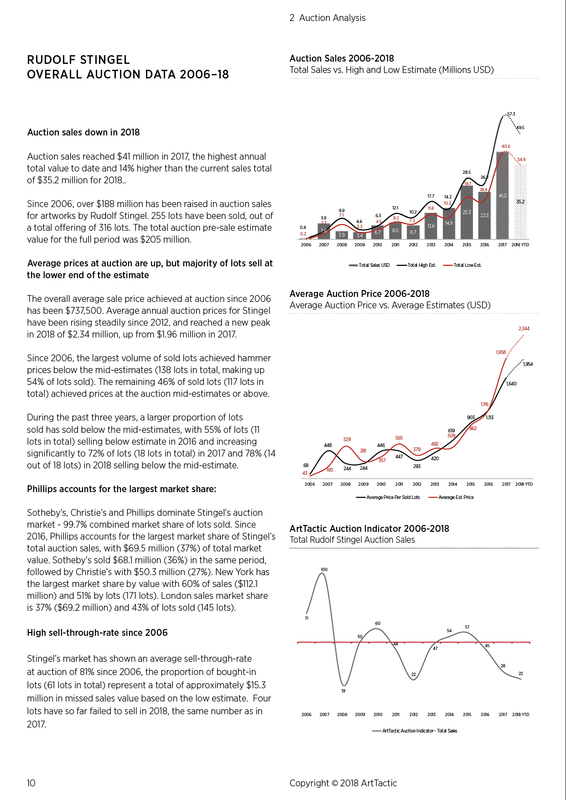 Weaker auction sales in 2018: Total sales for the year are currently at $35.2 million, down by 14% from total auction sales in 2017. However, a further four lots are scheduled for sale in New York (with an estimated low estimate of $1.74 million) in November 2018. Short-term market confidence remains high, although more market uncertainty regarding the long-term: Despite lower sales in 2018, the short-term market confidence in Stingel remains high. The latest ArtTactic Artist Confidence reading in September 2018 came in at 81 (slightly lower than January 2018). However, the long-term confidence is down from 47% of experts believing the artist will be of high importance in 10 years time, to 33% who said the same in September 2018. 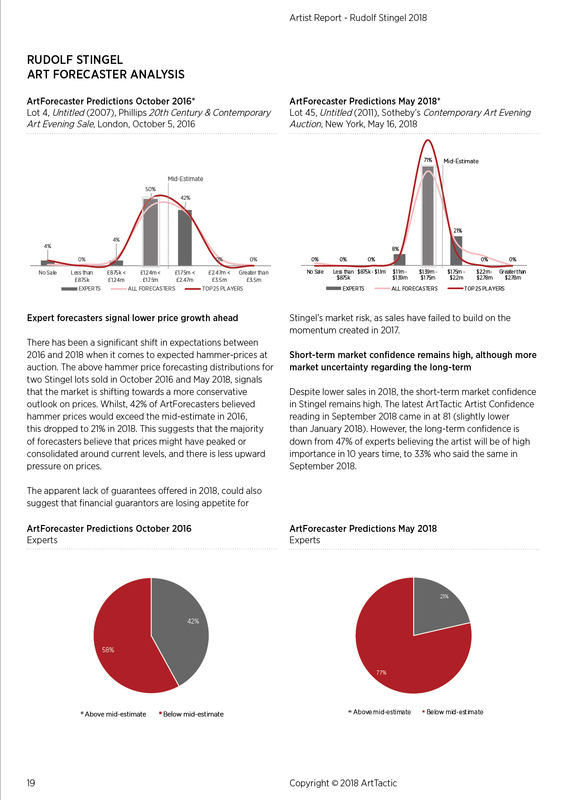 This Market Report is the second artist research report published by ArtTactic and is to be followed by regular updates. 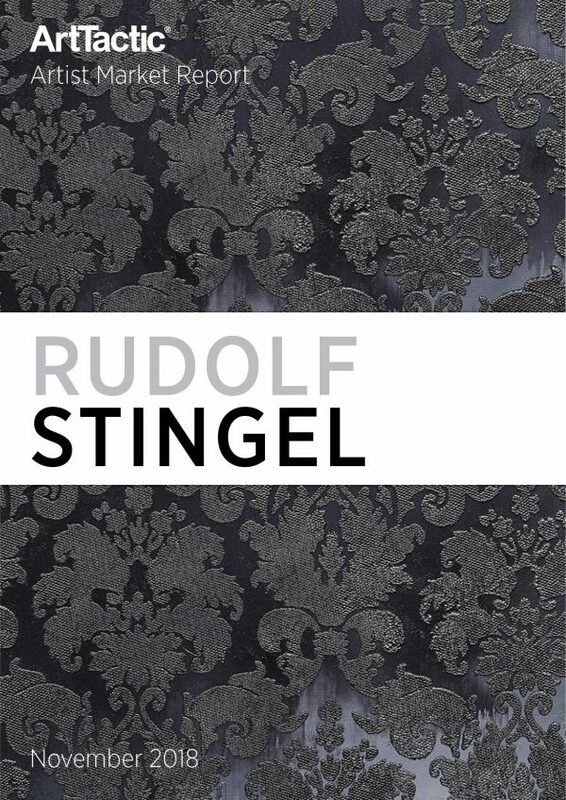 ArtTactic also offer bespoke reports on the Rudolf Stingel market. For further information please contact us on info@arttactic.com. Stingel Market Background and Timeline. Total Sales, Average Prices and Hammer-Ratio analysis. 2006-2018. Analysis by segments including; Breakdown by Year of Creation 2006-2018. Artwork Analysis by Medium 2006-2017. Price Segmentation and Top 10 Price Analyses 2006-2018. ArtForecaster Analysis 2016 & 2018.